14-18 NOW is inviting poppy owners from around the world to plant their poppy on its digital map and share the story of why or for whom they bought their poppy. 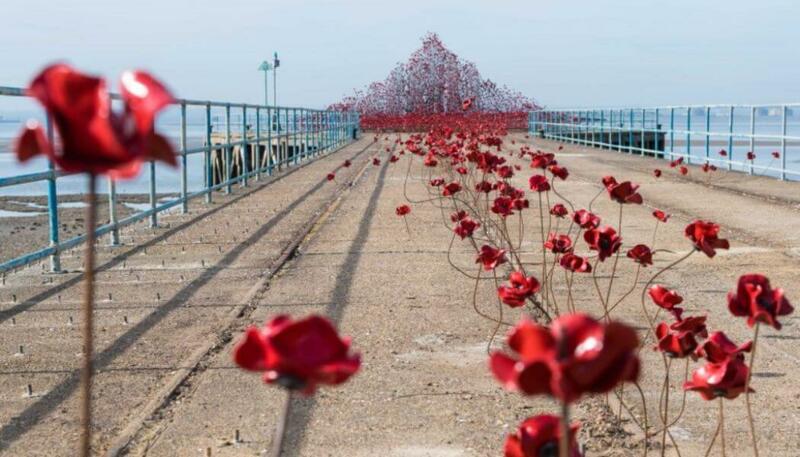 From today and over the coming months it will be possible to discover the stories of poppy owners around the world on its map and see how far the poppies have travelled as well as those planted across the UK. Owners can plant their poppy and share their story by visiting the 14-18 NOW website or use the hastag #WhereAreThePoppiesNow on Twitter. 14-18 NOW is a five-year programme of extraordinary arts experiences connecting people with the First World War. Working with partners all across the UK, it commissions new artworks from leading contemporary artists, inspired by the period 1914-18. The ‘We’re here because we’re here’ project by 14-18 NOW in partnership with Jeremy Deller, Rufus Norris, National Theatre & Birmingham Rep, saw WWI soldiers pop up in various locations last year and won the Museums + Heritage Awards for Excellence 2017 best Marketing Campaign. These new artworks bring stories of the First World War to life, offer fresh perspectives and connect a global conflict from 100 years ago with our world today. So far more than 30 million people have been part of our programme. Since 2015 the Poppies have been on tour across the UK and you can see the latest destinations here.